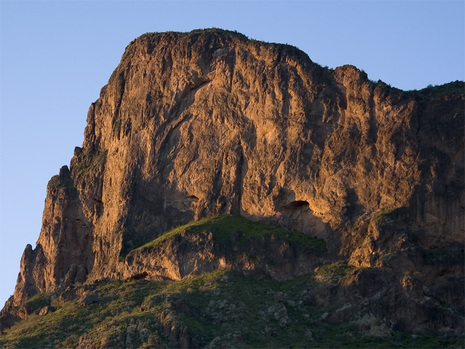 The skirmish took place on a slight rise overlooking Picacho Pass, a narrowing of the historic desert road along the Overland Stage route. This is a transportation corridor still channeling the transcontinental railroad and an interstate highway between a volcanic peak and the nearby Picacho mountain range. On April 15, 1862 (some authorities indicate April 16) a cavalry detachment of 14 troops rode into an ambush laid by 10 Confederate scouts from Captain Sherod Hunter’s company of Rangers recently posted at Tucson, 14 miles to the south. Two Union troops were killed on site and one mortally wounded. Three others were also wounded.